There was a lot of resentment among the business community of Singapore when the government decided to introduce the goods and services tax Singapore. The general view was that of skepticism and pessimism towards the impact that GST Singapore would have on businesses. However, the progressive regime of Singapore ensured that the GST rate was one of the lowest in the world at 7%. Additionally, it introduced certain schemes which allow businesses to alleviate their burden of goods and service tax Singapore. Provides a holistic framework for companies to manage their GST Singapore tax risks. Complete exemption from the costly & time-consuming GST audits. Quicker resolution to the various issues pertaining to the GST Singapore tax. Automatic renewal of GST schemes. Facilitates accurate GST reporting for a 1 year period along with the efficacy of GST controls. Pertinent preventive & corrective measures vis a vis GST. A thorough check on the internal processes in order to properly handle GST reporting of transactions. Ensuring the accurate GST filing returns by performing pre-filing checks. 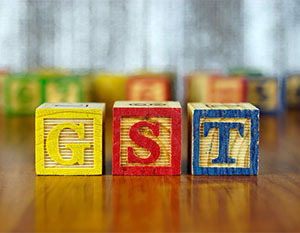 Assistance in the fulfillment of key requirements to become GST compliant. Guidance & assurance on the correctness on the present and past GST submissions. The above mentioned assistance schemes are testimonial to the progressive nature of Singapore taxation which ensures that the entire business community of the nation not just complies with the IRAS but also benefits in the process.